The Roland Water Tower was built in 1905 as a 211,000-gallon water tank to supply residents in Hampden and nearby neighborhoods. It was part of a complicated water supply system that included the Western Pumping Station at Druid Lake. The design by William J. Fizone is similar to the slightly larger West Arlington water tower built in the northwest section of the city. The tower only served that purpose for a few years, however, and by 1930 the tower was taken out of service leaving a curious local landmark empty. 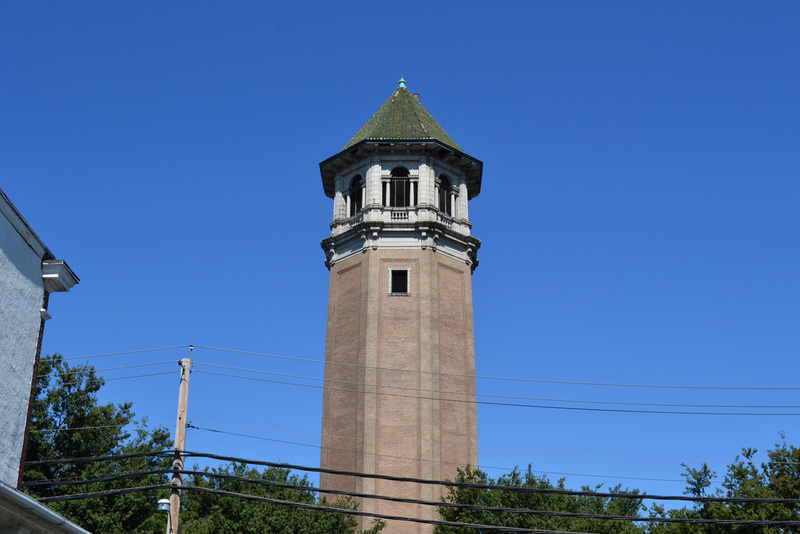 Still the tower has endured as an icon for the nearby Roland Park community and local preservationists have organized the Friends of the Roland Water Tower to advocate for the restoration and reuse of the structure. 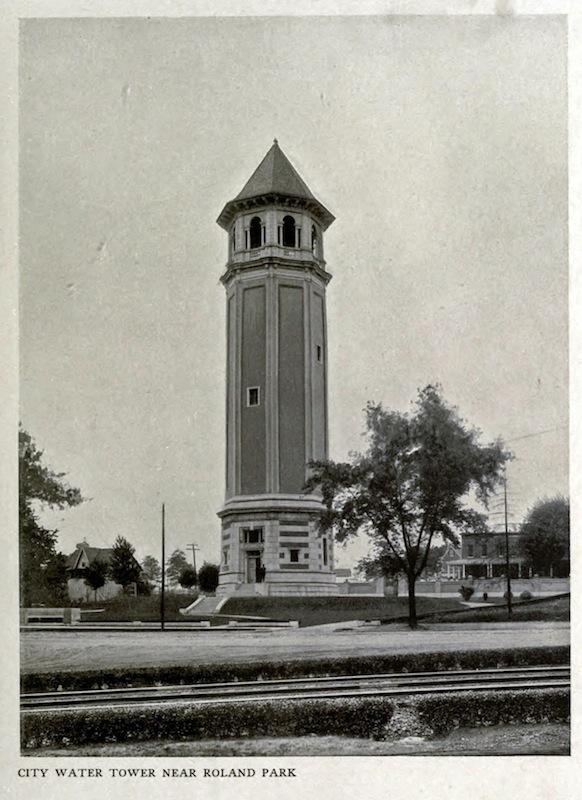 Eli Pousson, “Roland Water Tower,” Explore Baltimore Heritage, accessed April 19, 2019, https://explore.baltimoreheritage.org/items/show/197. Published on Feb 21, 2013. Last updated on Nov 27, 2018.